Volunteers are the lifeblood of RIFA. 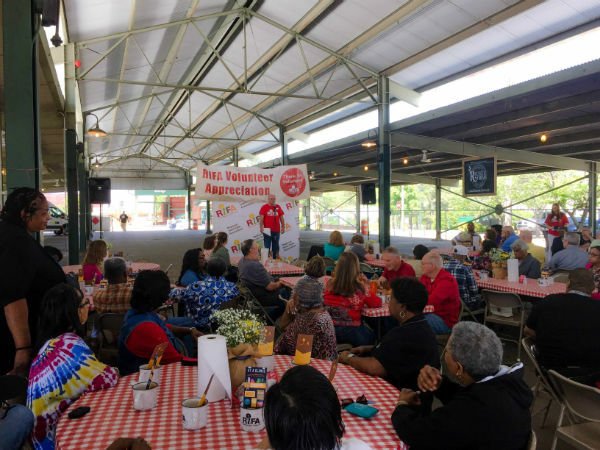 Each and every day, volunteers make a significant impact on our community through their work at RIFA. 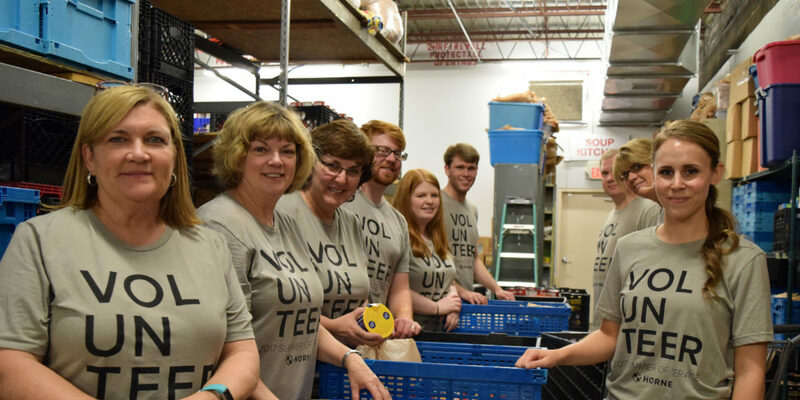 On average, volunteers log over 15,000 hours of service each year! Without your efforts, the work done at RIFA would not be possible. When you donate your time, you become a partner in the fight against hunger in the Jackson community. We need YOUR help to get this important work done. 2Email our volunteer coordinator at dward@rifajackson.org to schedule an appointment and tour. 3Find an area that fits your skills, passion, and availability and contribute to the cause. We also accept groups for volunteering projects. To schedule a group or volunteering, contact our volunteer coordinator.